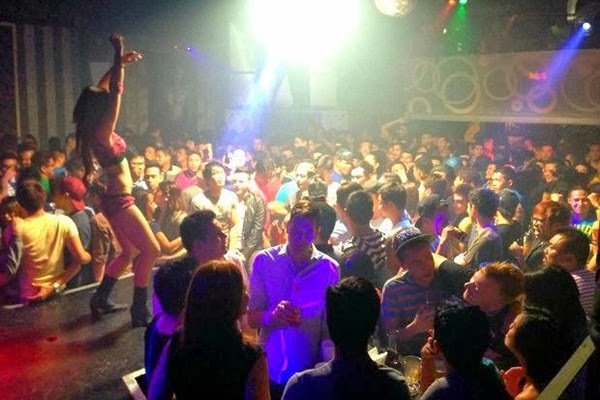 So I just read that Friday nights can be quite exciting for gay hangout places like O-Bar in Ortigas. Personally, I have never been to the place. Let's call it better judgment that I would rather have siling labuyo crushed in my eyes rather than be caught there. Oh but I don't mean to judge the people that go there... wait oh yes I do. But anyway, here's a live tweet of the "exciting" happening at O-Bar this Friday. At this point, the live tweet-feed person seem to have run out of battery so the drama ends there. I think at one point I may (totally denying this if brought up) have gone through that drama phase but that ended as quickly as it started. For those that are still craving for drama, be careful. In the time of social media and smart phones, your next dramarama episode may just land on YouTube. hindi ko na-cue ang canned laughter.